PUNE: Since June 19, the health department of the Pune Municipal Corporation (PMC) has destroyed mosquito breeding grounds in over 2.60 lakh properties across Pune. Yet the breeding of dengue mosquitoes is still a concern in the city with a total of 4,274 cases of suspected dengue registered till November 2. According to PMC officials, the resistance of citizens to allow fogging inside their homes is one of the major reasons for the constant rise in dengue cases. Kalpana Baliwant, head of the insect control department at PMC told pune-news.com that fogging is used to kill adult mosquitoes infected with the dengue virus. “A female adult mosquito lays a total of 450 eggs in her lifetime. If she is infected with dengue then all the eggs she lays are also infected with dengue. Hence, eliminating these infected adult mosquitoes is important, for which fogging is a very efficient tool,” she added. Baliwant said that even as PMC carries out fogging inside the homes for free, 90 per cent citizens do not allow fogging inside the homes which is a major problem. confirmed dengue cases registered till November 2 is 1,122. 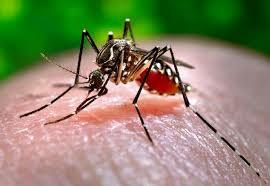 The officials further stated that once dengue mosquito breeding is found, notices are served. After issuing notices we randomly check the same location within 10 to 15 days. If the mosquito breeding is still found then there is fine imposed or a legal case is filed, they added. Officials said that the department has so far collected Rs. 3,77,653 as fine. According to the details available with PMC, the areas where there are maximum dengue patients include Yerawada, Dhanori, Dholepatil road, Bhavani Peth, Kasba Peth, Hadapsar and Mundhwa among others.